The Collectors Club is actively seeking enthusiastic collectors. Please take this as your invitation to apply for membership. The fellowship and scholarship of the collectors who meet here will give renewed life to your own interests. Our membership role has included the most respected individuals in philately, and membership is a recognized cachet of prominence and achievement. In joining the Collectors Club you place yourself in a group that emphasizes all that is best at every level in the hobby. If you are facing a collecting challenge of virtually any description, there is a good chance that some of our members have faced the same one and found a solution. Whether it is forming a collecting strategy, unearthing a source for elusive material, seeking ways to extend a current specialty or deciding what to collect next, someone will be of help. While many of our members have chosen not (yet) to become exhibitors, many others have been encouraged by their experiences at the Club to share their “treasures” with the world. Advice and counsel in this area are a particular benefit of membership—the Club may boast the most experienced exhibiting and judging talent ever assembled in one organization. From guidance on the fundamentals to suggestions on the more sophisticated points of successful presentation, you can draw on the skills of many of the world’s most recognized exhibitors. 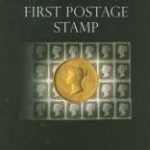 Dues include a subscription to our bimonthly publication, the Collectors Club Philatelist (CCP). *A resident member resides, has a business address, or is employed within a radius of 50 miles from the Club in New York City. A non-resident US member lives outside this area. Applications are available by mail on request. You can also view the application online here, print it, and mail it or email it. NOTE – Please enclose dues with your application. If your application is not approved for any reason, the full amount will be refunded. If you have any questions, please don’t hesitate to call Irene Bromberg, our Executive Secretary, at (212) 683-0559 or contact us via e-mail (ibromberg@collectorsclub.org).